Hi there! Tonight I experimented with a cupcake idea that I had. They are very good, but just not cheesecake enough. I baked cream cheese in with the cake and then I used a Jello pudding cheesecake to fill it. I'm thinking that I need to go with something else. Does anyone have any good cheesecake filing recipes that they can recommend? Well as clean as it can be at least! I've been working hard hard hard! for the past 5 hours and it's almost 2am! But I'm so proud because it's finally done!!! It doesn't even look clean in the pictures! I'm gonna cry!!! haha! 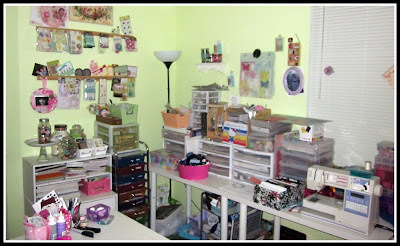 Well here's my crafty space! I've been working so hard all weekend long cleaning & organizing the house! My hubs and my daughter have been out of town so I've had no distractions! And well, nobody telling me to go to bed! hehe! 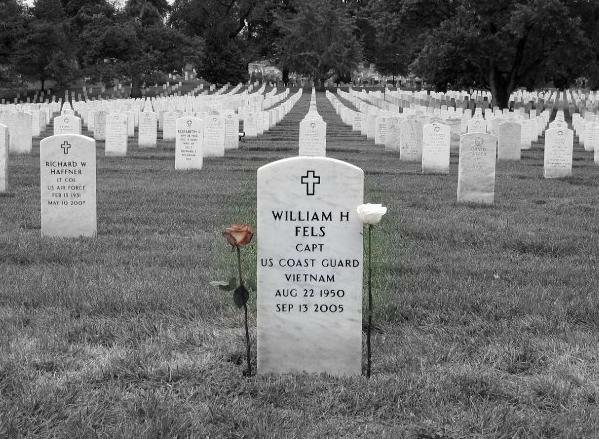 Happy Memorial Day everyone & just remember what the day is all about! 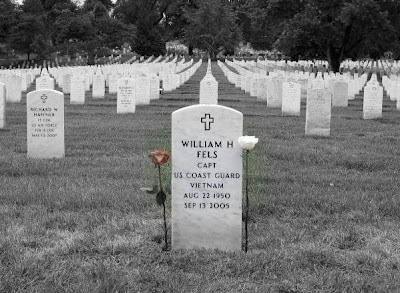 I miss you terribly daddy! Open challenge over at Sketches in Thyme!! It's open challenge time over at Sketches in Thyme! You can head on over and enter up to 3 projects into the monthly contest! You can use which ever sketch you want! I chose to use this fun pencil lines sketch! Make sure you go check it out and link up your projects!!! 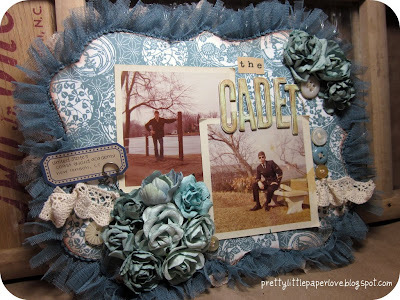 This week's challenge over at Scrap it with a song is to use Alan Jackson's Little Bitty song as inspiration on your layout or project! I created this using October Afternoon 5 & Dime collection. The journaling is about the wooden doll cradle that my dad & uncle had made me. My mom sold it at a garage sale without my knowledge and I was crushed. I was saving it for when I had kids, I hope whoever has it in Port Neches, Texas loves it as much as I did! Here's the song for inspiration and projects need to be submitted by Saturday at Midnight in order to be eligible for the prize pack of Prima Goodies!!!!! Scrap it With a Song DT CALL!!! 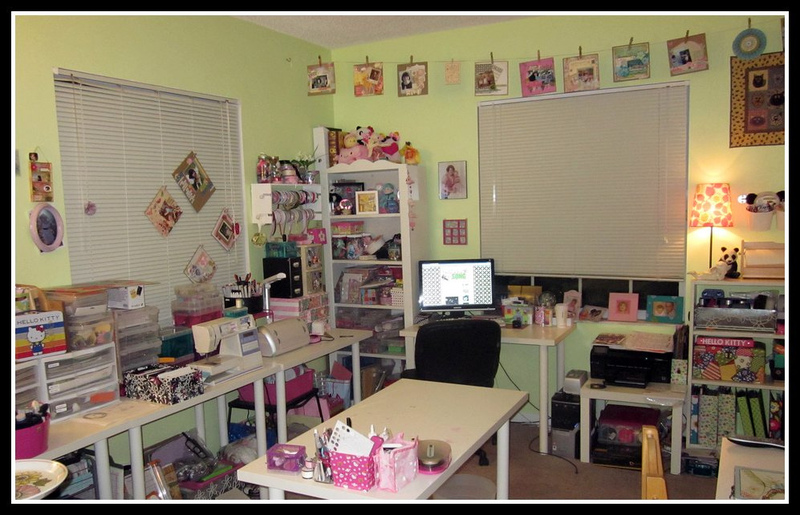 Scrap It With a Song is looking for a few talented crafters to join our team. Do you think you have what it takes? Find out more below. 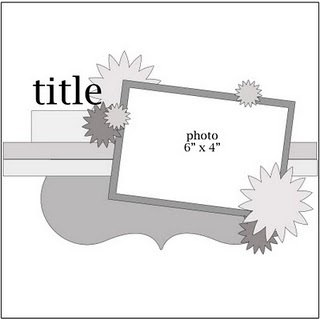 · Create a layout or card (or any other crafty project) based on a chosen song. You can see rules for the challenges HERE. · Submit a picture of your project 4 days prior to the challenge post date. You will be given songs 1-2 months in advance so that you can work on them ahead of time. You can turn them in all at one time or up to one week prior to that challenge. · Share in the task of showing blog love to any and all entries. Everyone always loves getting comments so it would be great if you can visit participant’s blogs and comment on their entries. 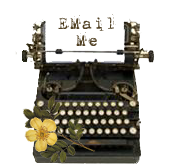 · Promoting Scrap It With a Song on your own blog. You should post your bi-weekly creation and link up to the main site. · Your work will be featured every week you participate, along with a link back to your blog. · You will have your name and link listed on the side bar as an alumni even after your term ends. · First look at the new challenges each month. · Experience as a design team member. 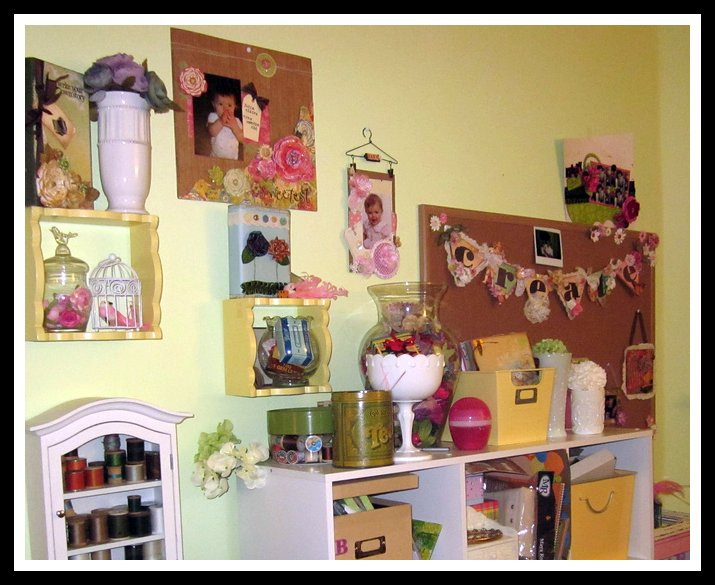 · Attach or directly link to 1-2 of your favorite crafty creations that you think best shows your style. We are definitely interested in card creations!!!!!! · Tell us a little about yourself and why you’d like to be a part of the team! The Paper Variety Star Challenge! Hello Everyone! 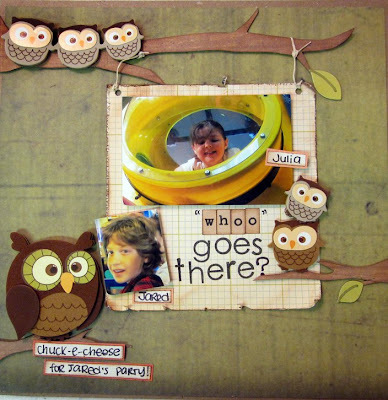 It's time for another awesome TPV challenge! It's my week on the DT to play! 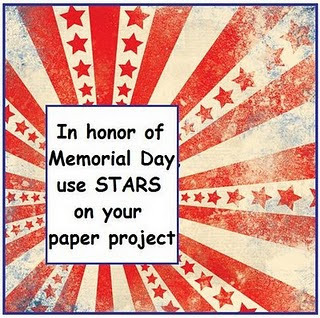 The challenge is to use a star in your project! So your options are unlimited! I wanted to make a card for my hubby that wasn't super cute or girly! 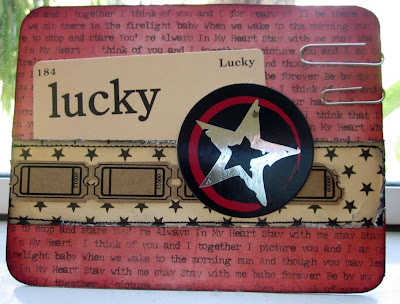 I started with some of the Fancy Pants Love Letter paper and used my Distress Ink in Fired Brick to color it red, also used a charcoal around the edges. The stars paper is OA from the 5 & Dime line, as well as the Lucky card. Maya road tickets and that big chipboard star has been in my collection for probably 5 years I bought it on sale at Target, lol. I love the way it all came together. I added the paper clips to balance out the foil on the sticker. I look forward to seeing your projects! This week sponsor is Technique Tuesday with an awesome kit! 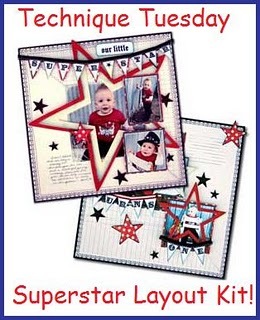 The kit includes a sheet of FUNdamental Superstar Technique Tiles, two ink pads, 4 sheets of patterned heavy weight paper, two sheets of cardstock, a sheet of banner title and alphabets, ribbon and complete step-by-step full-color instructions. Here's the final results! Super cute isn't it? Make sure you check back to TPV on Friday to learn more about our sponsor! Get your projects in by Sunday afternoon if you'd like to be featured and for sure by Tuesday for your chance to win! My hubby and I are big fans of the TV Show Mike & Molly and think that Billy Gardell is awesome, well look who I got to meet! He was at the Hollywood Improv and I just had to go!! We sat right up front too :D Afterwards we met him took some pictures and got a DVD signed. It was super cool! Of course this picture is literally at 1am and not to mention it was HOT. hehe! We had a great night. 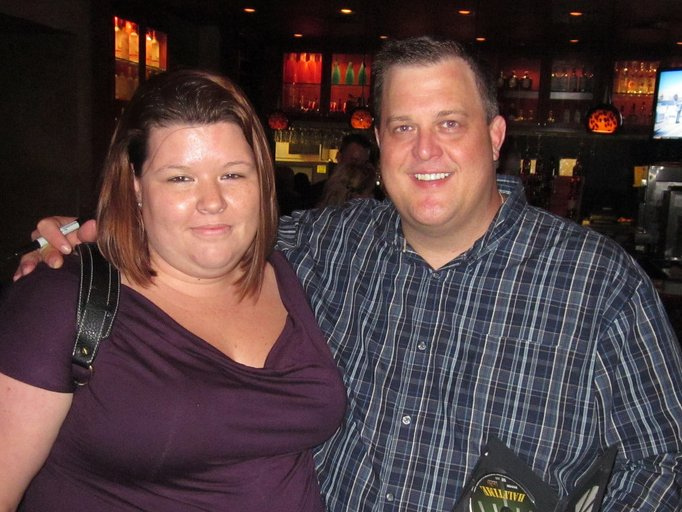 Here's a picture of me and my silly hubby... he's a cutie too! That's all I have to share for now, I'm still excited I got to meet him! I get to meet sports stars all the time, but never anyone I actually like! LOL! Good Morning all! 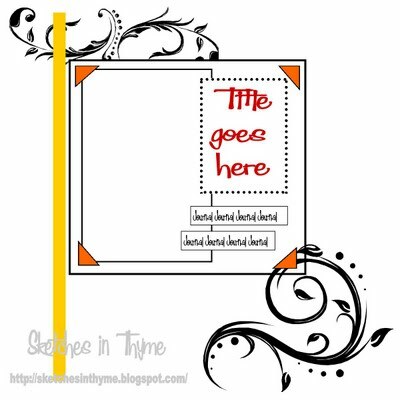 It's my first challenge over at Sketches in Thyme! I created this fun layout for Julia's scrapbook! I picked up the owl stickers at Hobby Lobby and I just LOVE them! They are too cute! I hand cut the branches and chalked them to give them some dimension. This is the sketch that you have to use, and I chose to turn it on it's side! how fun! check it out and you have all month to join in on the fun!! Follow the link on my sidebar and join in on the fun!!! 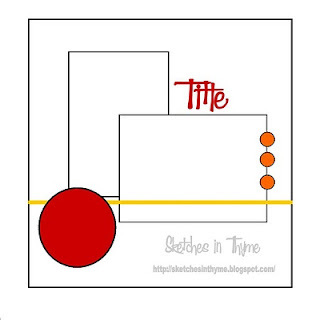 I made it onto the Sketches in Thyme Design team!! I'm super excited to be joining a wonderful group of ladies! Thank you to Tiffany for having me! If you don't already follow Sketches in Thyme, then make sure you head on over there and follow us! Also check out all the newest Mavens, there are some talented designers! Here is the project that I submitted for the DT call based off of this sketch. There are 3 challenges a month posted, & I'm on team A. The first challenge will be posted next week!!! The Paper Variety Mist, Ink or Paint! Hi there everyone! It's time for another awesome challenge over at The Paper Variety! Yay! For this one, it's time to get your fingers dirty!! 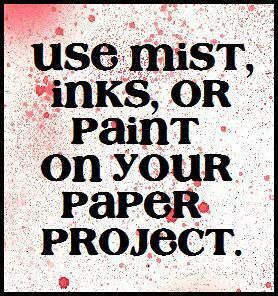 You have to use mists, inks or paint on your project. You can do all 3 or just one, on my project I misted and then inked! :) Make sure to get your entry linked up by Sunday night if you would like to have the chance of being featured or by next Tuesday if you'd like the chance to win! Here's my take on the Challenge. 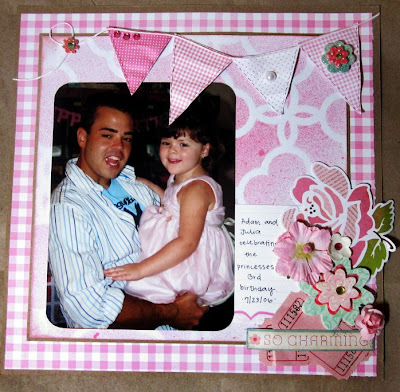 I used a large stencil to created the patterned background, I then chalked around the edges with pink ink. The picture of my brother has always cracked me up.. I wish the sticker would of said "Soooooo Charming" I'm sorry the photograph isn't the best on this one, but I've been out of town camping with my daughter and then I've been stuck at work until after dark! But you all have to check out The Paper Variety and join in on the FUN! Everyone gets the opportunity to win!!! 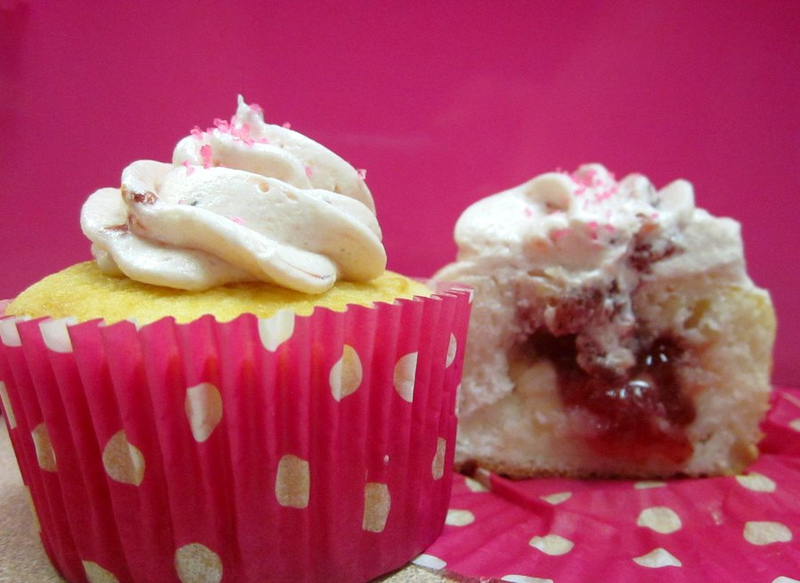 Speaking of winning, this week's amazing prize is being sponsored by the lovely Leeanne over at Artful Delight. 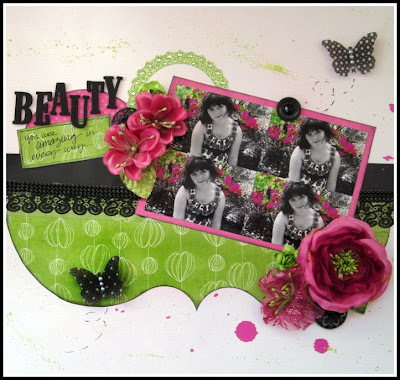 Up for grabs is the Delightful Inspiration May Kit! Thank you for everyone who joined in on the fun! I'm happy to announce that Tamara has won herself the BLOG CANDY! YAY! Please send me an email with your info so I can get everything out to you! !